Flettner Ventilator is the world leader in the design and manufacture of wind powered ventilators. Your horse can travel in comfort with the easy to fit Flettner Ventilator. The trusted solution for ventilating your Commercial Vehicle. Ventilation in your Van is essential – Choose wisely! Our ventilators extract fumes, reduce excessive heat and reduce condensation. – Fit the best, fit a Flettner. The definitive eco-friendly wind powered roof ventilators. For over 80 years we have supplied our wind powered roof ventilators to vehicle manufacturers, converters and bodybuilders. Fleet operators and commercial vehicle owners across the globe have specified our products because of their time proven performance, durability and quality. In addition, our wind powered ventilators are also used in a wide range of other applications including Horseboxes and Trailers, Portable Buildings, Caravans and Motorhomes. Stale air, strong odours, condensation and excessive heat can create a severely degraded working environment. This can be uncomfortable and unhealthy for vehicle occupants and result in the spoilage of goods, packaging and may lead to damage of the vehicle interior. At worse, fumes, poisonous chemicals or inflammable gases can be deadly. With legislation requiring employers to have a duty of care towards their employees or risk possible prosecution, vehicle ventilation has to be seen as a priority. 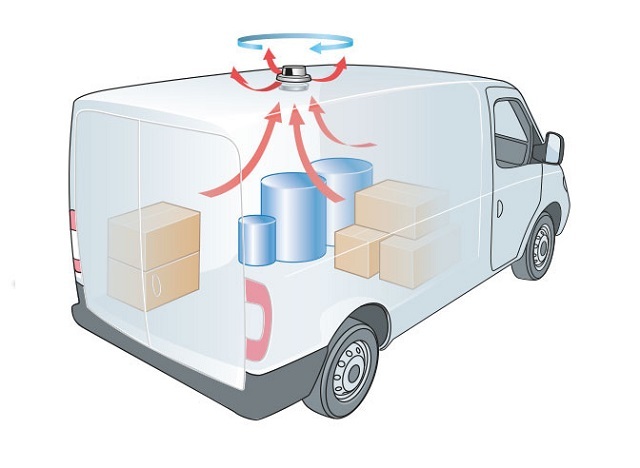 As a result…can you afford not to fit a Flettner Ventilator?